On Your Mark. Get Set…. GO! My first 1/2 Marathon is about to get started. My good friend, Sue Peppers, about 2 months ago shared the idea of entering a 1/2 marathon for charity – and I was in! Today I picked up our race kits, shirts, bib numbers and directions to West Sacramento’s Raley’s Field where we begin in “wave no 1” at 8:00 am in the morning. How cool is this? Check out our Kelly Green Racing Shirts. The first leg of the race is 7 miles. Our goal is to get this done and see how we feel. Can we make the last half of the marathon? Or will we have to call it good at 7 miles? I’ll let you all know tomorrow evening. Sue and I will be taping segments as we go, so please come back for a look. 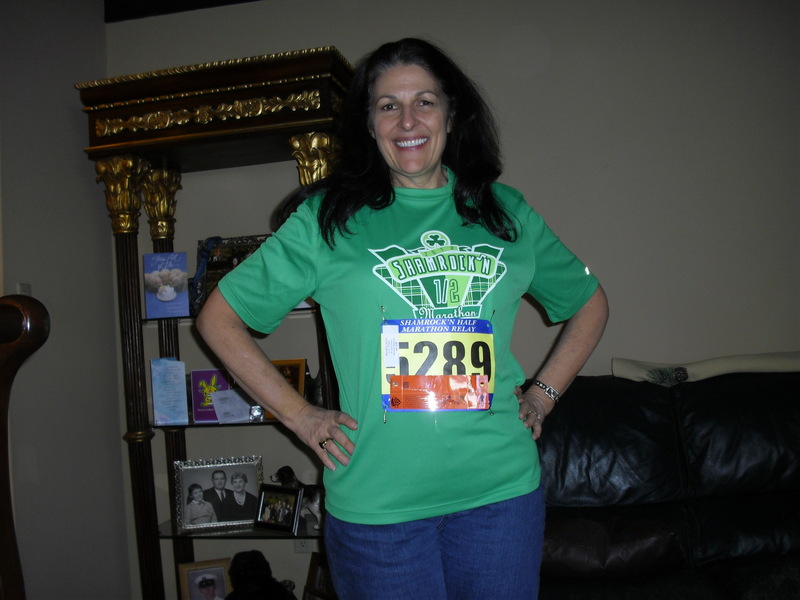 Joyce Blonskij – Health Coach for Take Shape for Life and Marathon Girl! My Cousin Carla Beth in Tenn wanted to join me for this race. Hey Carla I’m doing it! This entry was posted in Joyce's Blog Notes and tagged Joyce Blonskij, Raley Field, Relay Team, run, Shamrock 1/2 Marathon, Sue Peppers, walk, West Sacramento. Bookmark the permalink. You look great. Congrats on your TSFL success!! Im hoping to work off the rest of my weight with TSFL as well.